Daniel Treisman is a professor of political science at the University of California, Los Angeles and a research associate of the National Bureau of Economic Research. He was educated at Oxford University (BA Hons. 1986) and Harvard University (Ph.D. 1995). Treisman's work focuses on Russian politics and economics and comparative political economy. He has published four books and many articles in leading political science and economics journals including The American Political Science Review and The American Economic Review, as well as in the public affairs journals Foreign Affairs and Foreign Policy. 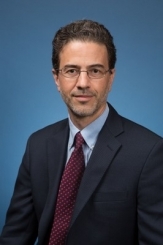 A former interim lead editor of The American Political Science Review, he has also served as a consultant for the World Bank and the European Bank for Reconstruction and Development, and as acting director of UCLA's Center for European and Eurasian Studies. In Russia, he is a member of the International Advisory Committee of the Higher School of Economics and a member of the Jury of the National Prize in Applied Economics. He has been a Guggenheim Fellow and a visiting fellow at the Hoover Institution (Stanford) and the Institute for Human Sciences (Vienna), and has received fellowships from the German Marshall Fund of the US and the Smith Richardson Foundation. His latest book, The Return: Russia's Journey from Gorbachev to Medvedev (The Free Press, 2011) was one of the Financial Times' Best Political Books of 2011.